Having English class becoming compulsory in elementary schools from 2020, the Boards of Education of each prefecture put emphasis on recruiting talented persons having good command of English. 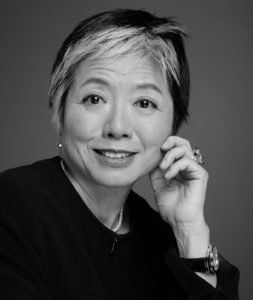 Based on a questionnaire survey conducted by the Asahi Shimbun (newspaper) with 68 Boards of Education in charge of recruitment of primary school teachers, forty two Boards said that they offer favor system in the recruitment exams to those who have high English competence, such as allowing additional points or exempting them from some of the exams. It is definitely needed for the Japanese education system to introduce English to children earlier than now (presently at the age of 12). It is well known that the earlier the foreign language education starts, the quicker children become familiar with the languages. What is essential however in language education is to develop ability of children to communicate in foreign languages. This point has not been taken into account very much in English education in the country. Instead, Getting good marks in English exam has been often regarded as high competence in English. I have learned that the thrust of nationally determined curriculum of English education will be have stronger emphasis on communication that before. What is needed for Boards of Education is to recruit future teachers who are capable of teaching communication in English, rather than getting good marks in paper exams. Leaning the national flags and anthems worldwide leads to awareness of the world diversity — based on this thoughts, a class was held to learn world national flags and anthems in Oshima Nishi junior high school in Koto-ku, Tokyo (the number of enrolled students 385). The class was a part of “the world friend project” promoted by the Board of Education of Tokyo. The project is intended to provide impetus to learn the countries in the world before the Tokyo Olympic and the Paralympic Games will be held inTokyo in 2020. Japanese society is still homogenous compared with European countries. People have limited opportunity of direct interaction with foreigners. It is a good idea to use Tokyo 2020 event to give opportunity for children to raise interests in foreign countries. For majority of the Japanese, it goes beyond imagination to know that having more than two passports are legally allowed in most of European countries, over 25 % of population in Switzerland are foreigners, meaning those who do not have Swiss passport, or I can walk over national border between France and Switzerland in the woods outside my village. 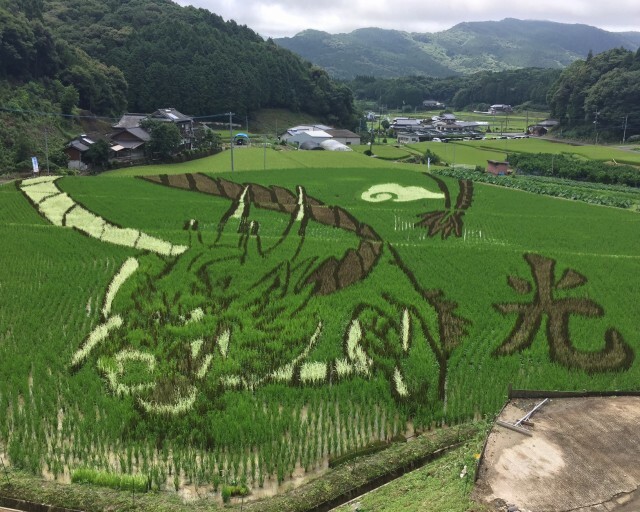 With rice of different colors, the rice field art makes in full bloom you in Yamaura district of Matsushimamachi Kyoragi, Kamiamakusa-shi, Kumamoto. The work is created by local high school students who planted five kinds of rice, including the ancient rice, in June. One may enjoy it until the middle of October. The Japanese green is wet — every time I look down the Narita area from the window of an airplane when approaching to the Narita International Airport, I see the difference in the green color of rice field, woods and orchards between the impression of the green between Japan and Europe. The European green is dry. The Japanese traditionally planted the young shoot of rice by hand. This still is the practice for most of the farmers. Hence the art like the one in the photo is possible. Rice growing is very labour intensive. It requires villagers to get together and work together to maintain infrastructure needed for rice growing. Water supply system, cultivating the land in early spring, to name just a few. An american business man I met said that he had been frustrated by “the group culture” by the Japanese when he has been stationed there. He wanted to talk to a person but Japanese always responded him as a role player in a group to which he/she belongs to. I think he should have modified his communication to be appropriate in a group culture, forgetting the American way. The American green is dry, as compared to Japanese. A group culture sometimes produces such a beautiful scene by planting the rice by hand according to a carefully organised plan.